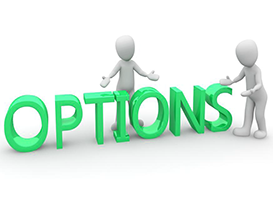 Options trading can often be dismissed as too risky or too confusing. But it's time to expose some of the five biggest options trading myths. Market volatility has been almost completely absent of late, as reflected in the historically low VIX. These five numbers illustrate just how low. Options trading education and playing tennis are two of my greatest passions in life. Last weekend, my two passions converged. I'm often asked about the difference between Cabot Options Trader and Cabot Options Trader Pro, so here I explain the difference so that you can choose the right service for your needs. Chief Analyst Jacob Mintz presents advanced options trades including iron condors and risk reversals—always with a focus on limiting risk, providing leverage and profiting in both up and down markets. I hate to be the bearer of bad news, but hedge funds and banks trade on insider information all the time. Over the last couple of days, I’ve written to you about Selling Put Spreads, Selling Call Spreads and Long Iron Condors. Now I am going to track how these three strategies will work for JPMorgan (JPM), which will announce its earnings tomorrow. In the coming days as we get closer to the heart of earnings season I am going to introduce a couple new strategies. These will be a great way to get short volatility into an earnings announcement with limited risk.